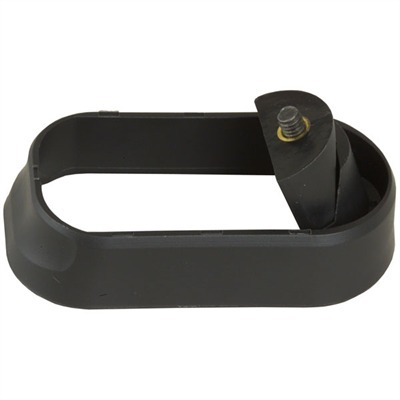 Fits Glock models 17, 22, 24, 31, 34, and 35. 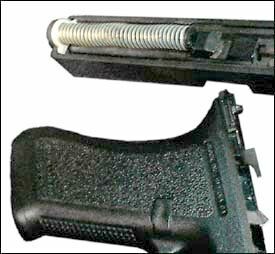 Drop-in, plastic grip adapter and mag well helps funnel magazine into the grip for faster reloads. Adds a flare at the bottom of the grip that increases stability. Extended mag well also protects magazine if weapon is dropped, helping to minimize jams. Requires no modification to the weapon.